Cryer's Cross, Montana is a sleepy little town that is until two young people disappear. Everyone joins in the search, but first one teen and then another have disappeared without a trace. Kendall is a senior in the one room high school at Cryer's Cross. She's the only girl in her senior class of six. When one of her classmates disappears, it is shocking, but when the second teen is Nico, her best friend since childhood, Kendall is paralyzed with grief and fear. As the days and then weeks pass, Kendall tries to lose herself in her farm chores and attempts to make friends with two new students. Having a chronic case of OCD doesn't help matters. Driven by her obsessive mind to organize her world, she uses soccer workouts to keep her thoughts busy and focused on something other than her missing friend. Kendall pushes aside her OCD long enough to sit in Nico's empty school desk. Thinking it will help her feel closer to him, she is surprised that despite her attention to detail she has missed a bit of old student graffiti carved into the aging desk. She interprets the "please save me" carving as a message from Nico, and it begins to consume her life. Author Lisa McMann known for her popular WAKE series has created another sure hit. CRYER'S CROSS has just the right amount of suspense, creepiness, and mystery to capture the interest of most readers. This one won't stay on the shelf long enough to gather any dust. DELIRIUM by Lauren Oliver is another one of those frightening dystopian novels where the government dictates what is best for everyone. This time the authorities have determined that deliria (love) is a disease and must be eliminated. Lena is counting down the days until she receives the cure. The cure is administered when a young person reaches the age of eighteen. She is eagerly awaiting the time that she can put aside her fear of deliria and focus on her future career and the mate chosen for her by the authorities. Part of Lena's fear comes from the knowledge that her mother was never cured. Because the woman professed to not believe in the cure, it never worked. After the third failed attempt to administer it, she ended her own life to escape the torture. As the anticipated time approaches, strange things begin to happen. Lena's evaluation is interrupted by the unusual appearance of a herd of cattle, and her closest friend begins to encourage Lena to participate in dangerous, risky behavior. Lena is also tempted by a mysterious young man who seems to be showing up in the most unexpected places. Just when she thinks life should be getting simpler, Lena's fear of deliria looms larger than ever. Author Lauren Oliver takes our fear of governmental control to a new level. Readers will find themselves turning pages as fast as possible to find out how much control Lena is willing to relinquish as she searches for a life free of fear. "Black swans" are described by trader and philosopher Nassim Nicholas Taleb as "events that are hugely important, rare and unpredictable, and explicable only after the fact." Caroline B. Cooney's latest offering tells of three girls whose separate lives become intertwined in an unimaginable story. Cooney draws readers into their tale quickly but teases them along until the very end where true to the comparison of the idea of "black swans", the truth is finally explained. Missy and Claire are cousins. Living a short distance apart has never been a problem. Since their mothers are sisters, the two families have always found time to be together. In fact, every Friday has been sleepover night for the girls. Now that they are in high school, their mothers have for some reason begun encouraging the girls to spend more time apart. Claire will graduate a year earlier so perhaps the adults fear that when Claire heads off to college Missy will not be able to adjust. Missy has always felt an unusually tight bond with Claire and was thrilled when strangers would mistake them for twins. When Missy's science teacher creates a unique assignment requiring the students to perpetrate hoaxes, she knows exactly what she wants to do. She contacts Claire and suggests that they pretend they are long-lost twins reunited. Although reluctant, Claire agrees and the two cousins appear live on Missy's high school's video-taped morning announcements. The creator of the video decides to post the emotional reunion on You Tube which triggers the unraveling of the world for the two girls and someone else they have never even met. I found the story fascinating, as I do most of Caroline B. Cooney's work, however, without revealing any spoilers, I would like to say some of the characters and their actions infuriated me. Unfortunately, there probably are people in the world as self-centered and selfish as these characters, but all the same, I found them disgusting. If you count the success of a novel by how long the story stays with the reader, then Cooney's THREE BLACK SWANS is a success because it will stay in my mind for a long time to come. Schizophrenia is at the center of A BLUE SO DARK. Aura has grown up surrounded by the disease. She never knew her grandfather who suffered from the condition, and because her mother also developed the disease, Aura lives in fear that she will someday become schizophrenic as well. For the last three years high school student Aura has been her mother's primary care-giver. Despite memories of her parents' deep love for one another, Aura's father finally gave up on his wife and left her for someone younger and healthier. Aura can't believe he simply dismissed them for his new life with only the advice that Aura should be sure to keep giving her mother her meds. Unfortunately, Aura didn't heed his advice. When Grace begged her daughter to throw away her medications, Aura agreed. Since then it has been a downhill slide for the mentally ill woman. With her best friend involved in her own personal issues and her father busy with his new wife and child, Aura's support system has collapsed. Watching her mother suffer one episode after another, Aura final realizes things are beyond her control. There is one last person who might be able to provide the help Aura desperately needs, but does she have the nerve to seek out that help? All she knows is that her own descent into schizophrenia is her greatest fear. Debut Holly Schindler takes readers into the world of the mentally ill. Through her main character, Schindler presents a realistic and frightening view of a disease that takes a devastating toll on the individual and his/her loved ones. 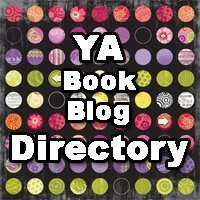 Schindler shows great promise as a contributor in the area of young adult fiction. THE STRANGE CASE OF ORIGAMI YODA is the winner for the Middle Grade Fiction Cybils Award. After reading it this evening, I agree it will most likely be a winner with the middle grade students in my classroom. Can an origami finger puppet predict the future and give reliable advice? That's the question Tommy is trying to answer. Tommy attempts to question his fellow students and get them to tell their experiences with Origami Yoda. Many of them have sought his wisdom and advice, but they don't all agree that his magic is for real. Tommy's classmate Dwight is weird. Everyone knows Dwight always gets in trouble, gets failing grades in just about every class except math, and picks his nose constantly. When Dwight shows up at school with an origami finger puppet that looks like Yoda from the Star Wars movies, their first reactions are negative. That negativity begins to change when the advice the little paper Yoda gives seems to often produce positive results. THE STRANGE CASE OF ORIGAMI YODA by Tom Angleberger is filled with personal accounts and student reactions to Origami Yoda's sage advice. Readers are in for a treat as Tommy's classmates share stories about typical middle school experiences with a touch of Yoda magic. An incredible nor'easter hits Little River leaving seven high school students and one teacher stranded at Tattawa Regional High School. Officials schedule an early dismissal hopefully sending students home safely, but each of the remaining seven students has some reason for staying behind. No one really believes the storm will be as bad as predicted. Five boys and two girls sit with their teacher watching the snow fall. As it comes down faster and heavier, they all begin to regret their decisions to stay behind. When they see what looks to be a snowplow on the highway near the school, the teacher heads out to intercept it. He disappears in the blizzard and is never seen again. With cell phone service interrupted by the storm, the students have no way to contact their loved ones so they begin to make the best of what they hope to be a temporary situation. They gather food from the cafeteria and blankets from the nurse's office. A transistor radio provides their only connection with the outside world. The snow piles up passed the windows of the first floor so the group moves to the second story. When the power goes out and the batteries on the emergency lights eventually run out of power at least they will still have light coming in through the windows. With no heat left in the old building, they use materials from the shop class supplies to get a fire going in one of the rooms hoping to generate enough heat to melt snow for water and provide a minimum of warmth. Now what remains is to stay positive and civil with one another until someone comes to rescue them. Unfortunately, none of them considered the weight of the snow on the aging building's roof, the tension of being together 24/7, and the tragedy that would happen when one of them tries to go for help. Considering the massive snowstorms parts of the nation have endured this winter, this book truly hits home. Author Michael Northrop has created a frightening but intriguing adventure that will spark fear in the hearts of teens. High school has enough pitfalls without the worry of being hopelessly stranded there with no way to contact the outside world. TRAPPED is sure to be a success long after the snow melts and spring arrives. Having inherited her grandmother's unique ability to locate the dead, Violet knows her life will always involve a knowledge most people hope to avoid forever. She was just a youngster when she discovered the body of young girl buried in the woods. Before that it had been animals that died of natural causes in the woods or fell victims to predators found in nature. Soon her talent was tested in ways that were both frightening and dangerous. Violet has a loving family and a best friend named Jay Heaton who have been there to support her throughout her experiences. They understand her strange talent and the stress it creates for her. Lately, Violet has been having other strange feelings. They involve a living, breathing person - Jay. Close friends since childhood, Violet and Jay have spent time together nearly every day. Recently, Violet has found herself attracted to Jay in a much different way. She fantasizes about him kissing her and holding her in an embrace not intended for simple friendship. Unfortunately, it doesn't seem like Jay shares her feelings. Thoughts of romance are pushed from Violet's mind as she becomes involved in the investigation of several missing girls. The case soon becomes a murder investigation with Violet attempting to locate the bodies and also the killer. The images and sensory auras she experiences might provide clues in identifying the person or persons responsible for the abduction and deaths of innocent young girls. THE BODY FINDER is described as both a mystery and a love story. Debut author Kimberly Derting has been gaining popularity with this interesting thriller. Fans will be excited to hear there is a sequel due out February 15 called DESIRES OF THE DEAD. I was also pleased to see it has a beautiful cover just like her first novel. Jane survived a terrorist attack in Metro City. The result was her parents' decision to leave the dangerous city behind and move to the suburbs. It might be safer, but Jane finds it extremely boring and nearly impossible to fit in to the firmly formed cliques. After a difficult start, Jane finally muscles her way into a group of girls she describes as "arty." Amazingly, all the girls are named Jane. Together they form P.L.A.I.N. - People Loving Art in Neighborhoods. They plan and execute what become known as "art attacks" throughout the community. This unique graphic novel explores the idea that art could conquer fear and create unity. Cecil Castellucci is also the author of BOY PROOF, THE QUEEN OF COOL, and BEIGE. 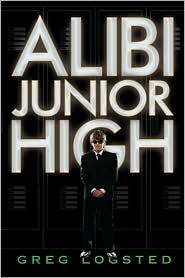 Starting at a new school is awkward enough, but imagine it is junior high and you're used to living life as a spy. That's what is facing Cody Saron. Raised by a CIA agent father, Cody has traveled the world at his father's side. He has been trained to watch his back and suspect everyone is out to get him. When a plot to kill father and son comes close to doing just that, Cody's dad decides it's time to send his son somewhere safe. Cody is met at the airport by his Aunt Jenny. She's the sister of the mother he lost to an enemy bullet when he was only two years old. Having no memory of life with a doting mother, Cody isn't sure how this is supposed to work. After Aunt Jenny gets Cody settled into the small house they will share, she makes arrangements to enroll him in the local junior high. Cody's only school experience has been homeschooling as he and his father move from one undercover location to the next. Although, he may be far ahead of his classmates in academics, Cody doesn't have a clue about how to dress and interact with kids his own age. This is painfully obvious in what he chooses to wear his first day and how he little he knows about what is appropriate behavior in his new surroundings. Countless taunts from classmates and several trips to the principal's office mark his first day of public education. Dealing with issues at school proves to be only one of Cody's problems. Other concerns he faces include a stranger he discovers staking out his aunt's tiny home and a recently returned Iraqi war veteran with a keen interest in learning more about Cody's past. Cody is also surprised by his growing feelings about what it is like to live with a caring female in a "normal" family environment. Author Greg Logsted combines the thrill of undercover espionage with the tough world of junior high to create a fast-paced adventure sure to interest middle grade readers. Cody is a likeable character living a colorful life but realizing he might want to settle down a bit. Cora's family is in pieces. Less than a year ago her older brother Nate died in a senseless car accident. Her mother has created a list of rules that has Cora feeling like she is in prison, and her father is simply stumbling to work every day only to return each evening to close himself in the den with a gin and tonic. 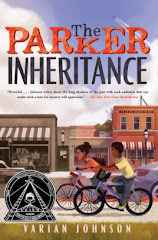 As Cora gets ready to start high school, she misses her brother but is resentful of the changes he has caused in her life. Her best friend Rachel is excited to begin high school and encourages Cora to join in all the new activities. It just doesn't feel right to let go and have fun without Nate so Cora's friendship with Rachel begins to deteriorate. Being the only freshman in her advanced art class is the only thing that Cora looks forward to each day. She loves art and the new teacher challenges her and even encourages her to submit a portfolio for a summer art course offered in London. She is surprised when encouragement also comes from a most unexpected source - Damian, Nate's best friend and a passenger in the car accident that took his life. Damian's art talent has been hidden all the years he spent with Cora's brother, and when he invites her to see something special after school one afternoon, she can't believe what she sees. The two troublemaking boys had evidently been working at a local farm in exchange for studio space in the barn. The place is filled with Damian's paintings and Nate's sculptures created from found objects. Cora is amazed and inspired as she discovers a side of her brother she never knew. A MAP OF THE KNOWN WORLD is the emotional story a young girl struggling to understand a terrible tragedy as she finds her own place in the world. Lisa Ann Sandell uses art as the center piece of a tale that ties together a family and helps begin the healing process for an entire community. Camelia is still coming to terms with her unusual and often frightening gift. It helps that she is able to share things with Ben since he also has the gift of seeing the future through touch. In fact, he has risked his life for her more than once. Strange things have begun happening with Camelia's friend Adam. He doesn't want to admit it, but he might be in danger. He is receiving odd crossword puzzles in the mail and on his car windshield, and a frightening message was scrawled on the door of his apartment. Camelia tries to make sense of the ominous threats as she warns Adam, but she is also worried that Ben won't understand her increased involvement with Adam. Camelia's life is full of secrets. Only her closest friends know about her ability to see visions of the future through her clay sculptures. Although her parents love her dearly, she hasn't found the courage to tell them of her special talent. Her mother harbors her own secrets about her own sister who is receiving treatment at a mental facility. Camelia believes her Aunt Alexia may share her psychometric abilities, however admitting that would require revealing her own secret. Will Camelia be able to protect Adam without ruining her relationship with Ben? Will she be putting everyone's life in danger? Laurie Farie Stolarz continues her thrilling Touch series with DEADLY LITTLE GAMES. Fans will be excited to see that a fourth book is also mentioned - DEADLY LITTLE VOICES. I, for one, can't wait!